Getting to know how Japan does chocolate gets a chic spin with ROYCE' Chocolate's upcoming pop-up in UNIQLO's Michigan Avenue store starting February 8 to 14. ROYCE' Chocolate will be on the 4th Floor of UNIQLO, where we'll be offering chocolate tasting sessions. The first 100 shoppers each day will take home ROYCE' Chocolate mini goodie bags when they spend $75 and above at UNIQLO (terms and conditions apply). Getting to know how Japan does chocolate gets a chic spin with ROYCE' Chocolate's upcoming pop-up in UNIQLO's Michigan Avenue store starting February 8 to 14. We will be in the 4th Floor of UNIQLO, where we'll be offering some chocolate tasting sessions, too. The first 100 shoppers each day will take home ROYCE' Chocolate mini goodie bags when they spend $75 and above at UNIQLO (terms and conditions apply). Free Shipping Sounds Lovely, Right? 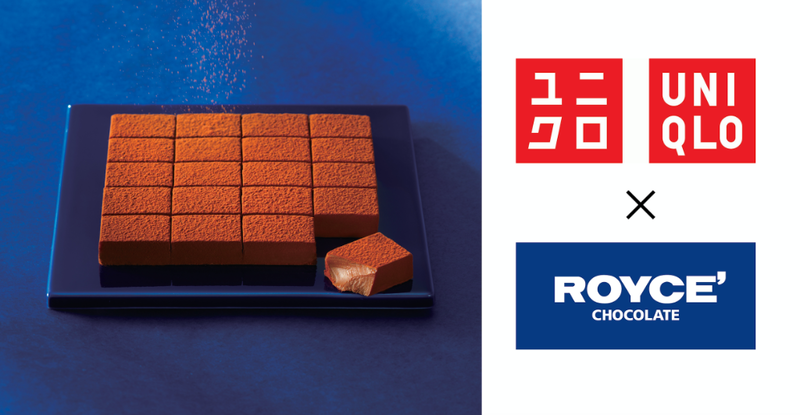 Don't forget that ROYCE' Chocolate offers free shipping anywhere within the continental US for online orders worth $99 and above (before tax), so now is the perfect time to taste fine Japanese confections wherever you are.